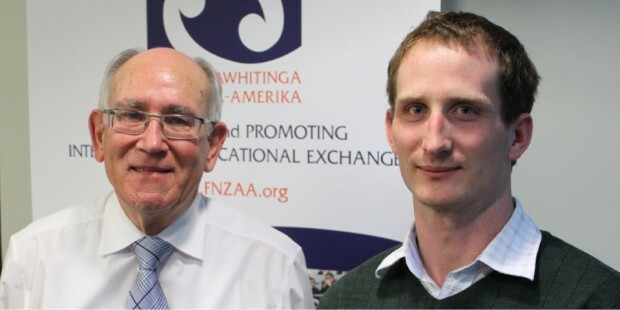 The Fulbright New Zealand Alumni Association’s foundation chairperson Graham Cochrane stepped down from leading the Association at its annual general meeting in August, handing over the reins to young alumnus Brian Walters. 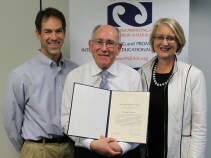 Graham had led development of the organisation since a steering group of alumni was first convened during Fulbright New Zealand’s 60th anniversary year in 2008 to discuss the idea of forming a formal association. As chairperson of the Association since its official launch at parliament in June 2009, Graham oversaw development of a constitution and registration as an incorporated society. 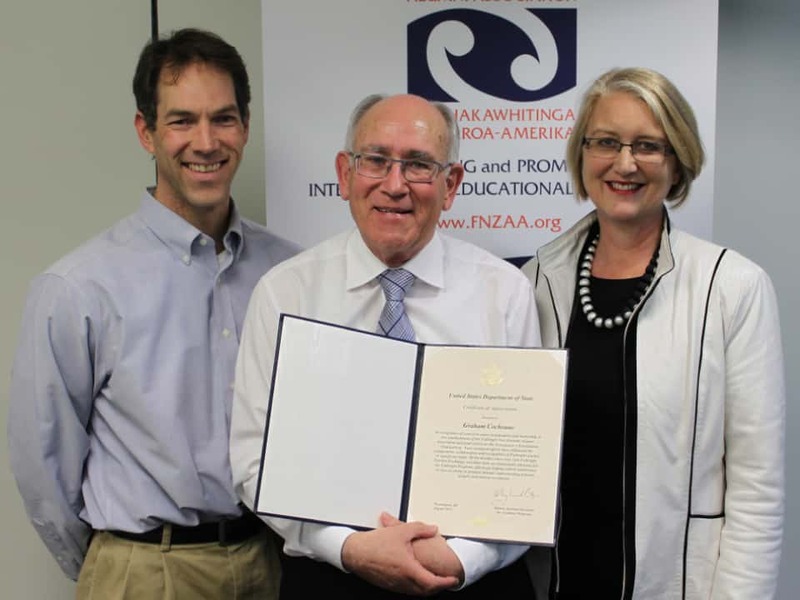 He led a volunteer board consisting of a secretary, treasurer, six regional coordinators and ex-officio representatives from Fulbright New Zealand and the US Embassy, and was the driving force behind many of the Association’s initiatives and events over the past three years. Graham will remain co-opted to the Association’s board for one year as immediate past chairperson, an advisory role ensuring a smooth transition and providing mentorship to newly-elected chairperson Brian Walters. Brian is a quantitative analyst for Gareth Morgan Investments in Wellington. He received a 2007 Fulbright New Zealand Graduate Award to complete a Master of Science degree in financial mathematics at Florida State University, and gained experience as a trader in Chicago. Brian’s first task as chairperson was to finalise the association 2012-2013 outreach strategy, which includes aims to increase engagement and involvement of all alumni, increase the revenue of the association and improve coordination between the regions and the Fulbright office. In a busy period of events, the alumni association organised recent Fulbright lectures by alumnus Douglas Pratt in Auckland, Christchurch and Dunedin, school workshops by US alumnus Tom McFadden in Havelock North, an upcoming fourth ‘Fulbright Reflections’ event at Te Papa in Wellington, and further Fulbright lectures by US alumnus Jim McCormick in Palmerston North, Wellington and Hamilton in November.